Despite the surge in its stock price, Tesla remains the most shorted US equity. Investors betting against Tesla have lost $US3 billion in August alone. The “short burn of the century” that Elon Musk promised back in May might have finally happened. Tesla’s 27% surge this month, fuelled by Elon Musk’s cryptic tweet Tuesday about taking the company private at $US420 per share, has cost short sellers – or those investors betting against Tesla’s stock – at least $US3 billion since, according to data from financial-analytics firm S3 Partners. Still, Tesla remains the most-shorted equity in the United States, easily outpacing other heavily bet-against equities like Apple, Amazon, and Alphabet by at least 50%. And as the stock price has climbed this year, so too have the bets against it. 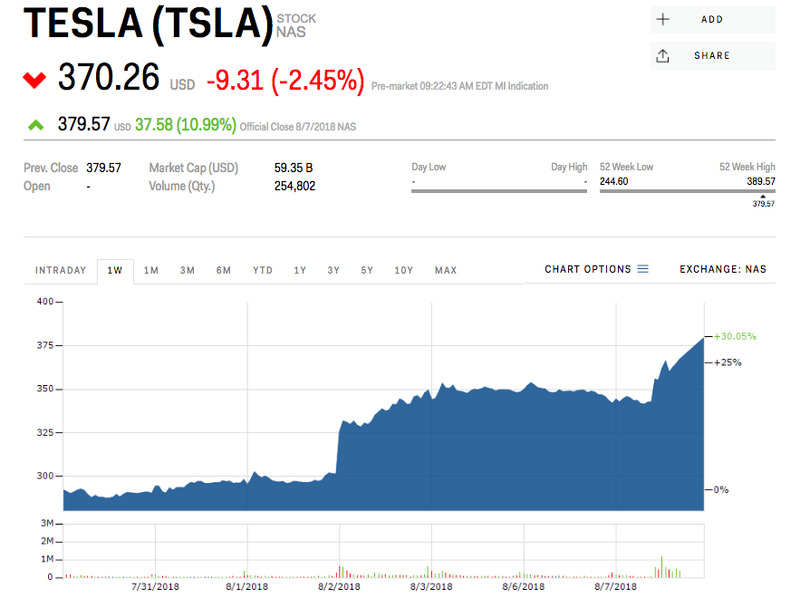 “If the market believes that Elon Musk’s financing is in place and the chances of a buyout is high, we should see short covering in size, driving Tesla’s stock price higher in the short term as short sellers attempt to close out their positions at lower than the $US420 takeout price,” said Ihor Dusaniwsky, a managing director at S3 Partners. Musk hasn’t been quiet about his disdain for short sellers. “These guys want us to die so bad they can taste it,” he said last year. And on a conference call in May, he interrupted questions by two analysts on an earnings conference call in May, complaining they represented a short-seller thesis. 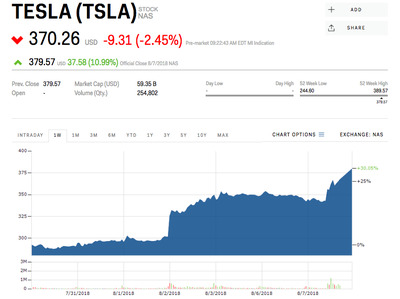 Shares of Tesla are up 18% since the beginning of the year and up 30% in August as a solid earnings report, reports of a $US2 billion investment by Saudi Arabia’s public investment fund and Tuesday’s proposed buyout sent the stock to near-record highs.